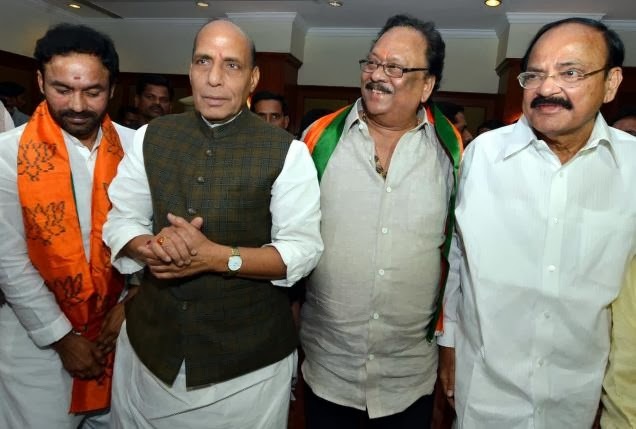 Akkineni Amala to join in BJP? According to sources Tollywood hero Akkineni Nagarjuna’s wife Akkineni Amala is getting ready to enter into politics.All the parties in the state Andhra Pradesh are getting ready for 2014 Loksabha elections and state elections,now Bharatiya Janatha Party (BJP) is looking for stars to strengthen its party in Andhra Pradesh.Recently Rebel Star Krishnam Raju joined back in BJP, now the latest buzz is that BJP is planing to rope Amala into party for that already two senior leaders in the state are having discussions with Akkineni family and waiting for their approval on Amala’s political entry.Another buzz is that Amala will contest from Vijayawada Loksabha Constituency in 2014 elections. However,we have to wait for an official confirmation from Akkineni family! !